"Worthy famous Mr John Livingston," as he was fondly termed by his contemporaries, received the rudiments of learning at home, and at the age of ten was sent to study the classics under Mr Wallace, a respectable teacher at Stirling. During the first year he made little progress, and was rather harshly treated by the schoolmaster; this was corrected by a remonstrance from his father, after which he profited very rapidly by his studies. When he had completed his third year at Stirling, it was proposed that he should go to the Glasgow university; but his father eventually determined that he should remain another year at school, and this, he informs us, [In his life, written by himself, Glasgow, 1754.] was the most profitable year he had at school, being chiefly devoted to a course of classical reading. 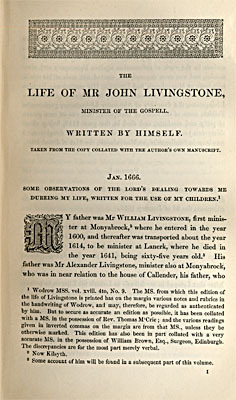 During the time of his residence in Stirling, Mr Patrick Simpson, a clergyman of much note, officiated in the parish church; and Mr Livingston relates, that, on receiving the communion from his hands, he experienced a physical agitation of an uncommon character, which he believed to have been occasioned "by the Lord for the first time working upon his heart." At his father's house in Lanark, to which he returned in 1617, in order to attend the death-bed of his mother, he had further opportunities of profiting religiously; for it was the occasional resort of some of the most distinguished clergymen and "professors" of that age. The celebrated Mr Robert Bruce was among the number of the former; and of the latter were the countess of Wigton (whom Livingston himself calls the "rare"), lady Lillias Graham, already mentioned, lady Culross, still more famous than any of the rest, and lady Barnton. It seems to have then been a common practice for such persons as were conspicuous for religious earnestness, of whatever rank, to resort much to each other's houses, and to take every opportunity, when on a journey, to spend a night in a kindred domestic circle, where they might, in addition to common hospitalities, enjoy the fellowship of a common faith. To a large mingling in society of this kind, we are no doubt to attribute much of the sanctity for which Mr Livingston was remarkable through life. 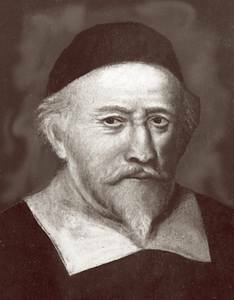 Mr Livingston became a preacher in 1625, and for a considerable time preached for his father at Lanark, in the neighbouring parish churches. He had several calls to vacant churches, especially to Anwoth in Galloway, which was afterwards filled by the celebrated Rutherford. The increasing rigour of the episcopal regulations appears to have prevented him from obtaining a settlement, He was at length, in 1627, taken into the house of the earl of Wigton at Cumbernauld, as chaplain, with permission to preach in the hall to such strangers as chose to accompany the family in their devotions, and also to minister occasionally in the neighbouring pulpits. He was living in this manner when he produced the celebrated revival of religion at the kirk of Shotts. This, it seems, was a place where he always found himself in the enjoyment of an unusual degree of "liberty" in preaching, On Sunday, June 20, 1630, the communion was celebrated at Shotts to a large assemblage of people, among whom were all the more eminently pious women of rank in that part of the country. The impression produced by the solemnities of the day was so very great, that many did not depart, but spent the whole night in prayer and conference. [The bed-room of lady Culross was filled with people, to whom she prayed "three large hours' time," - "having great motion upon her." -Livingston's Life, MS. Ad. Lib.] Among these was Mr Livingston, who being requested to give a sermon next morning to the still lingering multitude, walked forth very early into the fields. Here, he says, "there came such a misgiving of spirit upon me, considering my unworthiness and weakness, and the multitude and expectation of the people, that I was consulting with myself to have stolen away somewhere." He had actually gone to some distance, and was losing sight of the kirk of Shotts, when the words, "Was I ever a barren wilderness or a land of darkness," were brought into his heart with such an overcoming power, as constrained him to return. In the ensuing service he "got good assistance about an hour and a half" upon the text, Ezek. xxxvi. 25, 26. "Then will I sprinkle clean water upon you," &c. "In the end," says Mr Livingston, "offering to close with some words of exhortation, I was led on about an hour's time, in a strain of exhortation and warning, with such liberty and melting of heart, as I never had the like in public all my lifetime." The effect of the address is spoken of by Fleming, in his "Fulfilling of the Scriptures," as "an extraordinary appearance of God, and down-pouring of the Spirit, with a strange unusual motion on the hearers," insomuch that five hundred, it was calculated, had at that time, "a discernible change wrought upon them, of whom most proved lively christians afterwards. It was the sowing of a seed through Clydesdale, so as many of the most eminent christians in that country could date either their conversion, or some remarkable confirmation of their case, from that day." 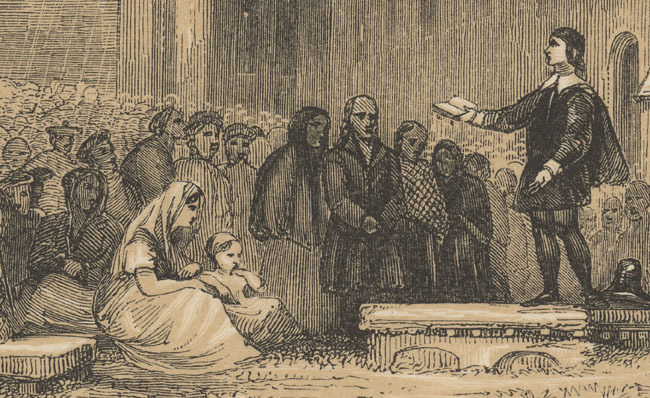 The importance of such a sermon, in propagating religion in a country where it was as yet but imperfectly introduced, has given this event a prominent place - not perhaps in the history of the church of Scotland, but certainly in the history of the gospel. It caused Monday sermons after the celebration of the communion to become general, and appears to have been the origin of that now habitual practice. Finding all prospect of a parochial settlement in his native country precluded by the bishops, Mr Livingston was induced, in August, 1630, to accept the charge of the parish of Killinchie, in the north of Ireland, where a considerable portion of the population consisted of Scots. Here he ministered with great success, insomuch that, by one sermon preached in the neighbouring parish of Holywood, he was calculated to have converted a thousand persons in as effectual a manner as he had done the five hundred at Shotts. Such extensive utility is, perhaps, only to be expected in a country such as Scotland and Ireland then were, and as America has more recently been; but yet, as similar acts are recorded of no contemporary clergyman whose name is familiar to us, we must necessarily conclude, that there was something in the oratorical talents and spiritual gifts of Mr Livingston, which marked him out as a most extraordinary man. His success, as a minister, is less agreeably proved in another way - by the persecution, namely, of the bishop in whose diocese he officiated. After being once suspended and replaced, he was, in May, 1632, deposed, along with Messrs Blair, Welsh, and Dunbar; after which, he could only hold private meetings with his flock. He and several of his people were now become so desperate, as to the enjoyment of religion, in their own way, under British institutions, that they formed a resolution to emigrate to America. He accordingly set sail from Weymouth; but being driven back by a contrary wind, some circumstances induced him to change his mind. Almost immediately after his return, he and his deposed brethren were reinstated by a letter of the lord deputy Strafford; and, for a year and a half, he continued to preach at Killinchie. Mr Livingston's salary, in this charge, was only four pound a-year; yet he takes pains to assure us, that notwithstanding all his travels from place to place, and also occasional visits to Scotland, he never wanted money. He lets slip, afterwards, however, that he received sums occasionally from the countesses of Eglintoune and Wigton, and other devout ladies. His mode of life was so fully justified by the circumstances of the times, which rendered it by no means singular, that Mr Livingston was not deterred from forming a matrimonial connexion. He had formed an attachment to the eldest daughter of Bartholomew Fleming, merchant in Edinburgh, "of most worthy memory." The young lady was also recommended to him by the favourable speeches of many of his friends. Yet - and the fact is a curious trait of the age and of the man - he spent nine months "in seeking directions from God," before he could make up his mind to pay his addresses. "It is like," he says, "I might have been longer in that darkness, except the Lord had presented me an occasion of our conferring together; for, in November 1634, when I was going to the Friday meeting at Antrim, (the lady was then residing on a visit to Ireland,) I forgathered with her and some others, going thither, and propounded to them, by the way, to confer upon a text, whereon I was to preach the day after at Antrim; wherein I found her conference so just and spiritual, that I took that for some answer to my prayer to have my mind cleared, and blamed myself that I had not before taken occasion to confer with her. Four or five days after, I proposed the matter, and desired her to think upon it; and, after a week or two, I went to her mother's house, and, being alone with her, desiring her answer, I went to prayer, and desired her to pray, which at last she did: and in that time I got abundant clearness that it was the Lord's mind that I should marry her, and then propounded the matter more fully to her mother; and, albeit, I was then fully cleared, I may truly say it was about a month after, before I got marriage affection to her, although she was, for personal endowments, beyond many of her equals, and I got it not till I obtained it by prayer; but, thereafter, I had greater difficulty to moderate it." The parties, having proceeded to Edinburgh, were married in the West Church there, June 23, 1635, under circumstances of proper solemnity, notwithstanding that archbishop Spottiswood, chancellor of Scotland, was understood to have issued orders for the apprehension of Mr Livingston some days before. The wedding was attended by the earl of Wigton and his son lord Fleming, and a number of other pious friends. Having returned to Ireland, he was, in the ensuing November, once more deposed, and even, it appears, excommunicated. He continued, nevertheless, to hold forth at private meetings in his own house, where Blair, also again deposed, took up his abode. At length, in renewed despair, he once more embarked, along with his wife, for the American colonies; but, strange to say, after having sailed to a point nearer to the banks of Newfoundland than to any part of Europe, he was again driven back; after which, conceiving it "to be the Lord's will that he should not go to New England," he made no further attempt. Mr Livingston appears to have always retained a warm feeling towards the presbyterians of the north of Ireland. At the breaking out of the rebellion in 1641, when these poor people fled in a body from the fury of the catholics, multitudes came into Scotland, by the way of Stranraer. Of the money raised in Scotland to relieve the refugees, *pound;1000 Scots was sent to Mr Livingston, who distributed it in small sums, rarely exceeding half-a-crown, to the most necessitous. He complains, in his memoirs, that out of all the afflicted multitudes who came in his way, he hardly observed one person "sufficiently sensible of the Lord's hand" in their late calamity, or of their own deserving of it, "so far had the stroke seized their spirits as well as bodies." This is a remark highly characteristic of the age. One more valuable occurs afterwards. Being sent over to Ireland with the Scottish army, "he found," he says, "a great alteration in the country; many of those who had been civil before, were become many ways exceeding loose; yea, sundry who, as could be conceived, had true grace, were declined much in tenderness; so, as it would seem, the sword opens a gap, and makes every body worse than before, an inward plague coming with the outward; yet some few were in a very lively condition." If Mr Livingston had not been accustomed to regard everything in a spiritual light, he would have argued upon both matters with a view simply to physical causes. He would have traced the savage conduct of the catholic Irish to the united operation of a false religion, and the inhumane dominancy of a race of conquerors; and the declining piety of the Presbyterians, to that mental stupor which an unwonted accumulation of privations, oppressions, and dangers, can hardly fail to produce. It is strange to a modern mind, to see men, in the first place, violating the most familiar and necessary laws respecting their duty to their neighbours, (as the English may be said to have done in reference to the native Irish,) and then to hear the natural consequences of such proceedings, described as a manifestation of divine wrath towards a class of people who were totally unconnected with the cause. Mr Livingston was minister of Stranraer for ten years, during which time he had not only brought his own flock into a state of high religious culture, but done much, latterly, to restore the former state of feeling in the north of Ireland. In the summer of 1648, he was translated, by the general assembly, to Ancrum, in Roxburghshire, where he found a people much more in need of his services than at Stranraer. In 1650, he was one of three clergymen deputed, by the church, to accompany an embassage which was sent to treat with Charles II., at the Hague, for his restoration to a limited authority in Scotland. In his memoirs, Mr Livingston gives a minute account of the negotiations with the young king, which throws considerable light on that transaction, but cannot here be entered upon. He seems to be convinced, however, of the insincerity of the king, though his facility of disposition rendered him an unfit person to oppose the conclusion of the treaty. Being of opinion that the lay ambassadors were taking the curse of Scotland with them, he refused to embark, and was, at last, brought off by stratagem. In the ensuing transactions, as may be conceived, he took the side of the protestors; but, upon the whole, he mingled less in public business than many divines of inferior note in spiritual gifts. During the protectorate, he lived very quietly in the exercise of his parochial duties; and, on one occasion, though inclined to go once wore to Ireland, refused a charge which was offered to him at Dublin, with a salary of £200 a-year. After the restoration, he very soon fell under the displeasure of the government, and, in April, 1663, was banished from his native country, which he never more saw. He took up his residence at Rotterdam, where there was already a little society of clergymen in his own circumstances. The remainder of his life was spent in a manner more agreeable, perhaps, to his natural disposition, than any preceding part. He had all along had a desire to obtain leisure for study, but was so closely pressed, by his ordinary duties, that he could not obtain it. He now devoted himself entirely to his favourite pursuit of biblical literature, and had prepared a polyglot bible, which obtained the unqualified approbation of the most learned men in Scotland, when he was cut off, on the 9th of August, 1672, in the 70th year of his age. Just before he expired, his wife, foreseeing the approach of dissolution, desired him to take leave of his friends. "I dare not," said he, with an affectionate tenderness; "but it is likely our parting will be but for a short time." Mr Livingston, besides his Bible, (as yet unpublished,) left notes descriptive of all the principal clergymen of his own time, which, with his memoirs, were printed in 1754. Some of his children emigrated from Scotland to the state of New York, where their descendants have, in the course of time, become people of the first distinction and weight in society. The late Dr John H. Livingston, minister of the Reformed Dutch church in New York, professor of Divinity to that body, and president of Queen's college, New Jersey - one of the first men of his age and country, and to whose memoirs, by Mr Alexander Gunn, we have been indebted for some of the preceding facts--was the great-great grandson of the subject of this memoir. Than John Livingston of Monyabroch, Stranraer, and Ancrum, in Scottish ecclesiastical history there are few men whose memories are more warmly cherished. He was the greatest preacher of his day, and there still clings to his memory the fragrance which was exhaled from his saintly life. During a career of the allotted span he maintained a walk and conversation singularly befitting the Gospel. He was a man of prayer, and lived near to the Blood of Sprinkling. Left to himself, he would have chosen a life of obscurity among the simple folk of some remote parish. It was persecution that dragged him into fame. But not persecution wholly. His ministry was in demonstration of the Spirit and in power. Even when he conducted his family devotions, men so crowded about him and hungered after his utterances that lie was obliged, by reason of the press, to set up his family altar in his church. "Oh! when I remember that burning and shining light, worthy and warm Mr. Livingston, who used to preach as within the sight of Christ and the glory to be revealed !" exclaimed one of his contemporaries, when he looked back on the times of refreshing he enjoyed in his presence. His appearance and disposition may help to bring his personality nearer. In Scotland there is only one known portrait, and it is in the possession of Sir Arthur Grant of Monymusk. In America, where his descendants have risen to the possession of the greatest wealth and highest distinction, there are in existence three portraits. To Edwin Brockholst Livingston I am indebted for an autotype copy of the painting in possession of Mrs. Robert Ralston Crosby of New York. It is apparently a faithful and artistic likeness. It represents a man of about sixty years of age, with short, silvery hair, the greater part of which is confined in a closely fitting cap. There are no whiskers, but there is a moustache, and the goatee or napoleon on the lower lip terminates in a sharp peak. In his young days his hair was of that brown, sandy colour usually indicative of the ardent temperament. The eyes were hazel, the brow prominent, the nose Roman, the facial outline oval. The shoulders are massive, the chest full, and a broad, white collar gives a touch of character to an otherwise uninteresting dress. 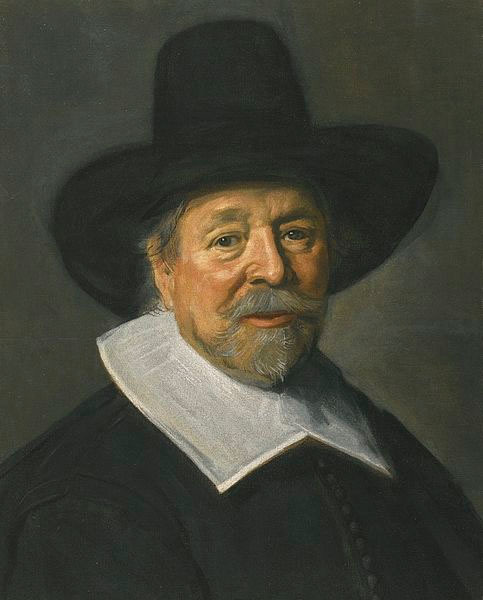 All the portraits are of Dutch origin. With his own hand he wrote a faithful delineation of his character. Physically he was "of ane waterish constitution. He had frequent attacks of toothache, and he smoked to alleviate the pain. He was short-sighted. This failing did not affect his studies, as he was able to the last to dispense with the aid of spectacles. As to disposition, he was very unlike his father, and quite averse to wranglinganddebates. He was more inclined to solitude than company. With the exception of walking, he indulged in no kind of exercise. Only two kinds of recreation held out to him any temptation. As a young man he had hunted on horseback, "and found it very bewitching." Possessing musical talent, he had also proved the growing seductions of the concert-room. He had often been conscious of the power of the Lord working in his heart, but he was never able to identify his conversion with any special time or occasion. He experienced the greatest terror of the wrath of God one night after he had been in the company of some young people who had been influenced by the work of the Lord at Stewarton. The feeling was so acute that if it had been prolonged it would have been beyond endurance. John Livingston was born at Monyabroch, on the 21st June, 1603; and by the Abroch, the Garrel, and the Kelvin swamp, and amid those green and woody braes of the parish he loved so much, he spent his happy, gentle boyhood, receiving from his strong, resolute father the best of nurture in all things human and divine. He received his Christian name at the earnest request of Lady Lilias Graham, the wife of the sixth Lord Fleming of Cumbernauld, who was soon after created Lord Wigton. 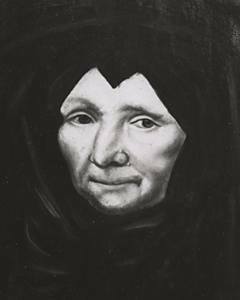 This lady held his father, William Livingston, in great respect, and was a frequent visitor at Monyabroch. She attended the Monyabroch communions regularly, and was well known for her devoutness of spirit and saintliness of character. Her maid said of her when she dressed her hair of a morning, she had always the Bible open before her, and "shed more tears on such occasions than I ever did all my lifetime." When John was ten he was sent to the Grammar School at Stirling, where he remained till the summer of 1617. He was recalled from school that he might be present at the bedside of his dying mother. Afterwards he went to the University of Glasgow, and completed his arts' course there with considerable distinction. At Stirling, from the hands of the Rev. Patrick Simpson, he received his first sacrament. On that solemn occasion he experienced such a physical agitation that he believed it was the Lord for the first time directly striving with him. At the end of his college course there came a serious crisis in his life. His father having repurchased the half of Monyabroch glebe, and added it to his various other possessions in the parish, he now wished his son to marry and settle on his estate. His father, having gone to Lanark, could not now attend to it, and it was greatly wasted by ill neighbours. The young man had, however, his own ideas as to his future, and he besought his father to allow him to go to France, that he might study medicine. His father refused his request. Not knowing what to do, at this turning point in his life, he resolved to spend a day in solitary contemplation in some quiet spot, and hear what God the Lord would say unto him. With this end in view he repaired to a secret cave on Mouse Water, an old hiding-place of Sir William Wallace. After a day's spiritual wrestling in much confusion and fear anent the state of his soul, he believed God made it clear to him that he should go out into the world and preach Jesus Christ and Him crucified, and that if he resisted he should have no assurance of his own salvation. Following the divine prompting thus given him, he studied divinity at the University of St. Andrews, under Principal Boyd and Professor Blair. During this period his Presbyterian views became greatly confirmed. Whilst present at a communion in Glasgow, Archbishop Law, who was dispensing the sacrament, seeing the people all sitting at the table, desired them to kneel after the Episcopal fashion. The archbishop, seeing that John Livingston and one or two others did not obey, commanded them to kneel or depart. To this the young man replied boldly "that there was no warrant for kneeling, and for want of it no one ought to be excommunicated." Thus began that long struggle with Prelacy he was to maintain during his whole life, and in which struggle he was eventually to be overcome. Having received license, he began in January, 1625, the preaching of the Gospel, the work that was to be so dear to him, and which was to be so abundantly blessed. Promotion would have come quickly, but he was already a marked man and under the suspicion of the bishops. He received calls to various parishes, but somehow or other there was always something which came between him and ordination. The reason is found in a letter in Colzium House. The Laird of Kilsyth having approached the archbishop in his kinsman's behalf, the prelate replied, that if his friend had not already received an appointment in the Church, he had nobody to blame but himself, seeing " he had declared he would not submit himself to the orders received in the Church." "I love peace," continued the archbishop, "but these sort of men will not cease till they bring trouble upon themselves." Eventually, Livingston was appointed by Lord Torphichen assistant to the aged minister of Torphichen parish. The minister dying soon after, and notwithstanding that the parishioners were wholly in his favour, and that moreover he had the Earl of Linlithgow, Lord Torphichen, and Sir William Livingston of Kilsyth all in his favour, and all appealing to the Archbishop of St. Andrews, he was refused ordination by that prelate, and not only so, but was ordered to desist from preaching. This was in 1627. When on his way home to his father's house at Lanark, he stopped at Falkirk to bid farewell to his uncle, William Livingston. This was a fortunate stoppage, for while delaying his journey, he received a pressing invitation from the Countess of Wigton, to come to Cumbernauld to visit her mother, who lay dying. He made so good an impression on the earl and countess that they engaged him as their chaplain. It was while residing in Cumbernauld there occurred that memorable revival of the kirk of Shotts in which he took so prominent a part, and during which he preached the sermon that was the occasion of such a memorable outpouring of the Holy Spirit. The hard lot of Scotland's suffering Church was not without its counterbalancing advantages in the spiritual life of the people. It forced them to consider their standing ground, to seek the roots of religion and faith. The result was a widespread interest in all theological and ecclesiastical problems. As they mused, here and there throughout the country the fire of the repressed spiritual life burst into flame. Times of great refreshing, as from the presence of the Lord, were at once causes and consequences of the persecutions to which the Church was subjected. The diligent study of the Bible made them able to suffer, and the suffering gave new intensity to their religious fervour. Just as the spring showers cause the grass to grow, so the blood of the Scottish martyrs, poured out on Scottish soil, caused a widespread germination and growth of a sweet and rich religious feeling. The historical revivals of Scotland are so inwoven with the history of Kilsyth and the men who have been born and bred and laboured there, that at this point it is full of interest to turn the eyes back and survey the scenes and circumstances of the first revival times. The outpouring of the Holy Spirit at Stewarton continued from 1625 to 1630. The date of the termination of the fevival at Stewarton marks the beginning of the revival at Shotts. The part played by John Livingston in the latter awakening was of a memorable character. A carriage containing some ladies of rank having broken down in Shotts parish, the travellers were entertained by Mr. Hance, the minister, at the manse, till the chaise was repaired. In return for his hospitality the ladies got a new manse erected for the clergyman. It was a magnificent return for the hospitality that had been extended to them, even although the ladies were all attached members of the Church and greatly interested in her persecuted pastors. Out of gratitude, Mr. Hance resolved to ask to his next communion such clergymen as they might be pleased to name. One of the names mentioned was that of John Livingston, then residing at Cumbernauld. The breaking down of the carriage, the proposals about the manse, the coming of the ministers, became matter of public notoriety, with the result that when the communion arrived there had gathered in Shotts an immense concourse of people. Amongst the other ministers present was Robert Bruce of Kinnaird. When the sacrament had been dispensed, the people had such a peaceful and joyous feeling, that instead of retiring to rest, they formed themselves into groups and spent the whole night - the 21st June - in prayer and the giving of thanks unto God. Livingston was a member of one of these companies. He had often preached at Shotts with much acceptance. It having been arranged that he was to conduct divine service at nine o'clock, early in the morning he left the company with which he had spent the night and walked out into the fields that he might be alone. In the solitude of his walk there fell upon him great misgiving of spirit, a poignant sense of his unworthiness and weakness in the face of the great expectations of the people. Possessed of this feeling, he determined not to return to the church, but to steal away from the meeting. When he was about to lose sight of the church it occurred to him that his action was cowardly and mistrustful of God. At the same time there came upon him with overwhelming force the accusation contained in Jeremiah ii. 31- "O generation, see ye the word of the Lord. Have I been a wilderness unto Israel? a land of darkness?" Turning, he found his way back to the church, where the people were thronging to hear him. Choosing for his text Ezekiel xxxvi. 25, 26-" Then will I sprinkle clean water upon you, and ye shall be clean: from all your filthiness, and from all your idols, will I cleanse you. A new heart also will I give you, and a new spirit will I put within you: and I will take away the stony heart out of your flesh, and I will give you an heart of flesh." The sermon was two hours and a half in length. In the first hour and a half he exhausted the points he had previously pondered, and he says, "I was led on about an hour's time in a strain of exhortation and warning, with such liberty and melting of heart as I never had the like in public." Just as the great effort was being brought to a close a heavy shower beginning to fall- for the service was held in the graveyard - he thus turned the circumstance to spiritual account. "If a few drops of rain from the clouds so discomposed them, how discomposed would they be, how full of horror and despair, if God should deal with them as they deserved; and thus he will deal with all the finally impenitent. That God might justly rain fire and brimstone upon them as upon Sodom and Gomorrah, and the other cities of the plain; that the Son of God by tabernacling in our nature, and obeying and suffering in it, is the only refuge and covert from the storm of divine wrath due to us for sin; that his merits and meditation are the alone screen from that storm, and none but penitent believers will have the advantage of that shelter." The effect of the sermon was extraordinary. It was like water to the thirsting. It was accompanied by a great downpouring of the Holy Ghost and by a strange and unusual commotion among the hearers. On five hundred of the audience there was wrought a change for the good, not transitory but permanent. It was the day in his life, the preacher confessed, when he had the richest presence of God. On account of the influence of this discourse, the preacher has been styled "Single Sermon Livingston." The title is inappropriate. At Holyrood in Ireland, in 1641, he preached another sermon with much greater results for good. By the sermon at Holyrood it was estimated that not less than one thousand souls were begotten anew in Christ Jesus. Wodrow says, that since the days of the apostles few ministers were more abundantly countenanced in their work than Mr. Livingston. Apart from the general effect of this sermon there were striking instances of its power in the lives of particular individuals. Three young men of Glasgow being on their way to spend some days in diversion and pleasure in Edinburgh, alighted in the morning at Shotts to breakfast. Hearing of the stir, they thought they would attend the Monday morning service and gratify their curiosity. Intending only to remain for a little, they became so powerfully influenced that they stayed until the service was done. When they pursued their journey they were more staid than they had been before, but each kept his deep concern entirely to himself. When they arrived in Edinburgh, they kept wholly to their rooms during their visit. Returning again to Glasgow in each other's company, they arrived there without having once disclosed their thoughts to each other. At last one of them went to one of the others and opened up to him the whole state of his mind since he had heard Livingston at Shotts. The other frankly owned the serious concern he had also experienced concerning his salvation. The two repairing to the house of the third, found him in a similar state of mind. They then began fellowship meetings together, and the three young men became exemplary citizens of Glasgow, and continued to lead to the end of their days lives of the highest Christian practice and profession. Livingston began life by writing his sermons, but eventually he merely wrote out notes and trusted to enlargement at the time of delivery. The expectancy of his hearers helped him more than his own preparation. His chief difficulty was the getting of his heart into a right spiritual disposition. He always remembered that his two best and most fruitful discourses were preached after he had spent the previous night in prayer and Christian conference. While he considered his gift more suited to simple and commonplace people than to learned and judicious audiences, he at the same time was a diligent student of the art of effective address. He was in favour of short sermons. "Ordinarily," he says, "goe not beyond the hour." As to subject matter: "A mediocrity should be kept, so that there be not too much matter in one sermon, which but overburdens the memory of hearers, and smells of ostentation; nor, again, should there be too little which hungers an audience and argues an empty gift." He held that the subject matter should not be too exquisite and fine, with abstruse learning and quaint notions, which go beyond the capacity of the vulgar; nor yet too common, for this procured careless hearing and despising of the gift. All his rules as to the use of the voice are good. The preacher should remember he is preaching, not singing. He should not use longdrawn words. He should not affect a weeping-like voice. He should neither be too loud nor too low. He should neither speak too fast nor too slow. He should not interrupt his discourse with oft sighing. Throughout Scotland a Monday service was instituted after the Communion in imitation and commemoration of the Monday service at Shotts, and in many parishes it is still held. The work of the preacher is not mechanical. In the ministry of the Word certain efforts are not to be depended upon as the means of achieving certain results. After his great sermon at Shotts, Livingston experienced a spiritual and oratorical reaction. Before a week was gone he had to lament a sense of desertion and an incapability of applying to the souls of his auditory the thoughts on which he had carefully meditated. By such means, he considered, the Lord counterbalanced his dealings with him and humbled his pride. His friends having persuaded him to stay at Irvine till the depression had passed, he was able to preach to them before he left "with tolerable freedom." When Livingston found that ordination in Scotland was impossible through the hostility of the bishops, he gladly accepted the invitation of Viscount Claneboyes to take charge of the parish of Killinchy. He then received ordination, not from Dr. Robert Echlin, the bishop of the diocese, but from Dr. Andrew Knox, Bishop of Raphoe, who extended towards the Presbyterians a gentle and conciliatory spirit. This action roused Echlin's ire, but notwithstanding a smart conflict with his bishop, Livingston was able to devote himself with all his zeal to the duties of his parish. His stipend from teinds amounted to only four pounds a year, but he was supported by the Countesses of Wigton and Eglinton, and other devout women. In this parish Livingston's ministry was greatly blessed. It might have been thought in such a poor place he would have been beneath envy, and except from the shafts of hostility, have been allowed to go on his way in .peace. But it was not so. Before a year was out he was suspended for nonconformity (1631). This was the first blow levelled at the Presbyterian ministry of Ulster, and, although through the interest of that kindly and friendly primate, Archbishop Usher, Livingston was soon reinstated, from his suspension dates the commencement of that systematic opposition which ultimately terminated in the forcible expulsion of the Presbyterian brethren from the kingdom. The peace was of very short duration. The Scottish bishops having brought pressure to bear on the Irish Government, Livingston and his friend Blair were deposed on the 4th May, 1632. After visiting his father at Lanark and his friends at Cumbernauld, and rendered desperate by insult and persecution, Livingston with some of his parishioners resolved to emigrate to America. Through contrary winds the attempt failed. After landing once more on the shores of Ireland, Livingston and his deposed brethren were reinstated in their parishes, and at Killinchy Livingston continued to preach for a year and a half, until November, 1635. At this time he formed an attachment to the eldest daughter of Bartholomew Fleming, merchant in Edinburgh, "of most worthy memory." It is a curious trait, both of the age and of the man, that after she had been commended to him by his friends, he spent nine months in seeking direction from God, before he could prevail on himself to pay his addresses. "It is like," he says, "I might have been longer in that darkness, except the Lord had presented an occasion for our conferring together; for in November, 1634, when I was going to the Friday meeting at Antrim, I foregathered with her and some others going thither, and propounded to them by the way to confer upon a text whereon I was to preach the day after at Antrim, wherein I found her conference so judicious and spiritual, that I took that for some answer to my prayer to have my mind cleared, and blamed myself that I had not before taken occasion to confer with her. Four or five days thereafter I propounded the matter to her, and desired her to think upon it, and after a week or two I went to her mother's house, and being alone with her, desiring her answer, I went to prayer, and urged her to pray, which at last she did, and in that time, I got abundant clearness that it was the Lord's mind I should marry her." John Livingston was married in St. Cuthbert's Church on the 23rd June, 1635. The Earl of Wigton and his son, Lord Fleming, were present. His father was the officiating clergyman. A warrant having been issued for his apprehension, the service was conducted with much solemnity. On Livingston's return to Ireland he was again deposed, and again in despair of all liberty at home for the ministry of the Word, he once more embarked for America. After a long struggle with adverse winds, in which the vessel sprang a leak and met with various mishaps, they reached the banks of NewfoundlandRegarding further struggle as hopeless, the voyage was abandoned and the prow of the vessel directed homeward. Livingston reached Ireland after a hazardous voyage, only to find his position more insecure than ever. The Government at once issued a warrant for his arrest, but he knew how to save himself by timely flight to Scotland. Although a marked man, he took a prominent part in those meetings when, amid scenes of the tenderest character, the Covenant was signed and sworn. In 1638 he received a commission to proceed to London with several copies of the Covenant and letters to friends of the Scottish cause at court. He had not been long in the English capital when the Marquis of Hamilton informed him it would be well for him to make speed northward, as the King had been made aware of his presence and was ready to commit him to the Tower. On Livingston's return from London, on the 5th July* 1638, he was inducted to the parish of Stranraer, where he ministered for the next ten years. He was recommended to that parish because it placed him as near as possible to his friends in Ireland. As many as five hundred of his old parishioners at Killinchy came over twice a year to the Stranraer communion, and it was there he was compelled to hold his family devotions in church, there not being room in his house to accommodate the people that came to them. At this juncture the Covenanters resolved upon a movement much more skilful than they usually showed in their military tactics. Under the Earl of Cassillis they advanced into England, and as Livingston was chaplain to the forces, he exchanged, for a time, the church for the camp. The change, however, was only a change of scene, for every night, when the troops came to their quarters, there was nothing to be heard throughout the whole army but the singing of psalms, and prayer, and reading of Scripture. He was present at the skirmis'i at Newburn, but, than the facts of the engagement, he noted down with greater interest that a Scottish lady, whom they had met, made the exclamation, "And is it so, that Jesus Christ will not come to England for the reforming of abuses, but with an army of twenty-two thousand men at His back!" The brief campaign ended, he busied himself at Stranraer with thj raising of money for the use of the army, and for the Presbyterians of Ulster, who were passing through Stranraer, fleeing from the fury of the Catholics. Leaving his father's deathbed, in the autumn of 1641, we find him, after a few months, joining the army of the Scots under Major-General Munro, lying at Carrickfcrgus, whither they had been sent by the Privy Council to put down the Irish Rebellion. He had an off-and-on connection with the army for the next six years ; but it is unaccountable how, in 1648, when he attended the army for the last time, he had a special commission from the General Assembly to persuade the Scottish regiments to take no part in the proposed endeavour to rescue Charles I from his English prison. It is surely no part of the duty of a chaplain to advise soldiers in such matters. At the close of these Irish Commissions Livingston was translated by the General Assembly to the parish of Ancrum. The next occurrence in the Rev. John Livingston's eventful life was of an important character. He was nominated, by the Scottish Church, one of three delegates on the Commission sent by the Committee of Estates to the Hague in the early part of 1650, to treat with young King Charles II as to the conditions and concessions which would make him an acceptable Sovereign to the Scottish people. The Commission was composed of the Earls of Cassillis and Lothian for the nobility, the Lairds of Brodie and Liberton for the barons, Sir John Smith and Alexander Jaffray for the burghs, and Messrs. James Wood, John Livingston, and George Hutcheson for the Assembly. The work was distasteful to Livingston, and he would have resigned but for the pressure of his friends. He believed the Commission contained unpatriotic elements, men who would have bought the favour of the King at the expense of their country, and it was unlikely to accomplish any good. When he set his foot on board the vessel that was to bear him to Holland, "he hoped, if it were the Lord's will, to be drowned in the waters by the way." His conference with the King made him still more dissatisfied. Believing they were taking "the plague to Scotland," he refused to return in the company of the King and the Commission, and it was only by stratagem he was brought back to Scotland with the others. At Dundee, Livingston had his final interview with the King. He took liberty " to use some freedom," and imparted some wholesome counsel. The King replied that "he hoped he would not wish him to sell his father's blood." The abrupt and foolish answer confirmed the worthy Covenanter in the opinion that he had never been made to negotiate affairs of state. Full of vague fears, and baffled in his designs, the worthy minister retired to his parish. He was elected to join the army of David Leslie, but he flatly refused, and was thus saved from witnessing the defeat of the Scottish army at Dunbar by Cromwell. When the English officers or soldiers were quartered at his manse, "he neither ate with them, nor drank with them, nor hardly spoke to them." Oliver Cromwell heard of Livingston's great influence, and wrote of him as a man highly esteemed as any for his piety and learning. He wrote further that he had withdrawn from certain of his own class (the Resolutioners) "and retired to his own house." At this juncture Livingston was both sour and sulky. When Cromwell asked him "to come to Edinburgh and confer with him," he politely excused himself. The meeting with Livingston, which Cromwell was so anxious to bring about, took place in London in 1654. Cromwell was determined to use Livingston to gain the Protesters to his side. Both parties in the Church were, however, equally loyal, and both resented with equal warmth the charge of encouraging sectarianism. Beneath the rupture there was a hearty and honest wish for the unity of the Church. Well, when Livingston was in London, he was called upon to preach before Cromwell at Whitehall. Cromwell had mistaken his man. The compliment did not influence Livingston in the very least. One part of his prayer ran as follows :- "God be gracious to him whose right it is to rule in this place, and unjustly is thrust from it; sanctify the rod of affliction unto him, and when our bones are laid in the dust, let our prayers be registrate in the Book of Life, that they may come forth in Thy appointed time for doing him and his family good. And as for these poor men that now fill their rooms, Lord be merciful unto them." As these words were uttered there was some whispering where Cromwell sat, and he was heard to say, "Let him alone, he is a good man. What are we but poor men in comparison with the kings of England." Oliver had had too much of John, and was glad to get quit of him. That the Protector held him in esteem notwithstanding his freedom of speech is apparent, because, in 1654, he appointed Livingston one of the ministers for settling the affairs of the Kirk and certifying such as were proper to be admitted to benefices. The news of the restoration of Charles II to the throne of England filled Livingston with dismay. He clearly saw that it meant untold trial and suffering for the Church of Scotland. And his worst fears were more than realised. After the "Act Rescissory" was passed by the Scottish Parliament in a fit of loyalty in 1661, the heads of the northern leaders and people began rapidly to fall. Before the year was out the Marquis of Argyll had perished by the Maiden, and James Guthrie of Stirling on the scaffold. When Livingston was made aware that peremptory orders had been issued by the Privy Council for his appearance before them, he had only too good reason to fear that the fate of the protomartyrs of the second reformation was in store for him. The date of his appearance was the 9th December, 1662. Before the messenger of the Court reached him he repaired to Edinburgh. Had the scaffold been before him he intended to flee the country. Finding, however, that his sentence in all probability would be banishment, he compeared before the Court on the nth December. Being pressed to take the oath of allegiance, he refused. The Lord Chancellor then asked- "Will you not take time to advise whether you will take the oath or not?" Livingston replied- "If I should take time to advise, it would import that I had unclearness, or hesitation, which I have not, and I judge it would be a kind of mocking your Lordship to take time to consider, and then return and give your Lordship the same answer. Quas dabit Omnipotens visdere propitius." When Livingston landed in Rotterdam, in 1663, he received from the Scottish colony the warmest of welcomes. During the years of his banishment he solaced his mind with biblical studies. He found it a delight to make once again that close acquaintance with the Hebrew tongue which had given him so much pleasure in his St. Andrews years lying now so far behind. He prepared a polyglot bible, but the work was never published, through the death of Provost John Graham of Glasgow, who was to have borne the expense of the printing. In the congenial society of his wife and kindred spirits, and surrounded with his family, the closing years of Livingston's life were the happiest he enjoyed. To his friends who gathered about him on the day of his death he spoke some brief and kindly words. "I have my faults as other men, but God made me to abhor shows. I know I have given offence to many through my slackness and negligence, but I forgive and desire to be forgiven. I cannot say much of great services, yet if my heart was lifted up, it was in the preaching of Jesus Christ. I die in the faith that the truths of God, which he hath helped the Church of Scotland to own, shall be owned by him as truths so long as sun and moon endure." His wife, seeing he was unable to say more, desired him to take leave of his friends. "I do not need to take leave of them," he said, "our parting shall be only for a short time." Then his benignant spirit passed to join the company of those of whom the world was not worthy. Thus died in banishment, in a foreign land, John Livingston, one of the sons of Kilsyth, and one of whom the parish has good reason to be proud. The date of his death was between the 14th and 21st of August, 1672. He was seventy years of age. Janet Fleming, his wife, survived him for over twenty years. She bore him fifteen children. Robert, born at Ancrum on the 13th December, 1654, was the fourteenth child, and he became the founder of the Livingston family of New York.